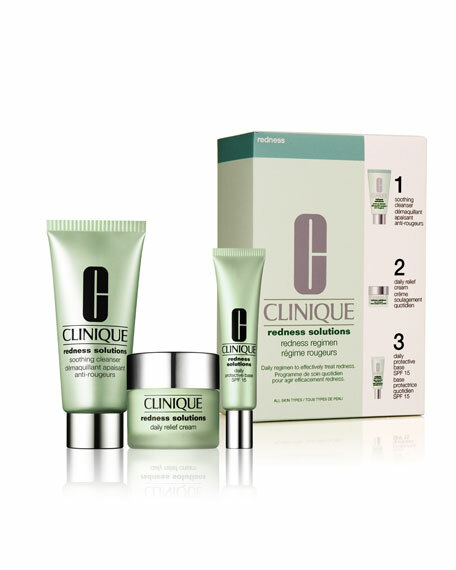 Extra-gentle, oil-free regimen for skin facing visible redness. Appropriate for skins with Rosacea. Betters skin's appearance and comfort. Quells visible redness. Helps calm and comfort skin. Maintains skin's moisture balance. Helps avert future flare-ups. Keep using instead of your regular 3-Step regimen and City Block formula, even after flare-ups have disappeared. Appropriate for skins with mild-to-moderate persistent redness. For in-store inquiries, use sku #254864.